A low molecular weight varnish with the same color saturation and appearance of dammar but won't yellow. * Contains UV light absorbers and stabilizers. 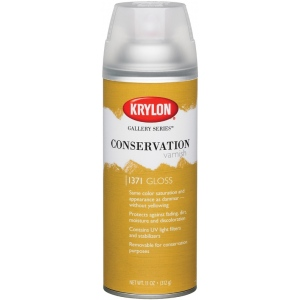 * Protects against fading dirt moisture and discoloration. * Colors appear saturated and even acrylic paintings look more like oil. * EZ Touch 360 dial adjusts to spray horizontally vertically or any angle for a perfect finish. * Varnish can be removed for conservation with mineral spirits. * Alternating layers of gloss and matte varnish will create a semigloss or satin final finish. 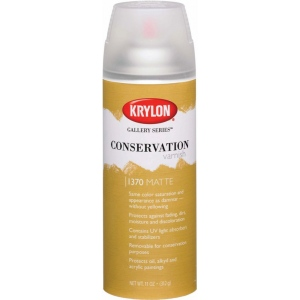 * Use on oil alkyd and acrylic paints.